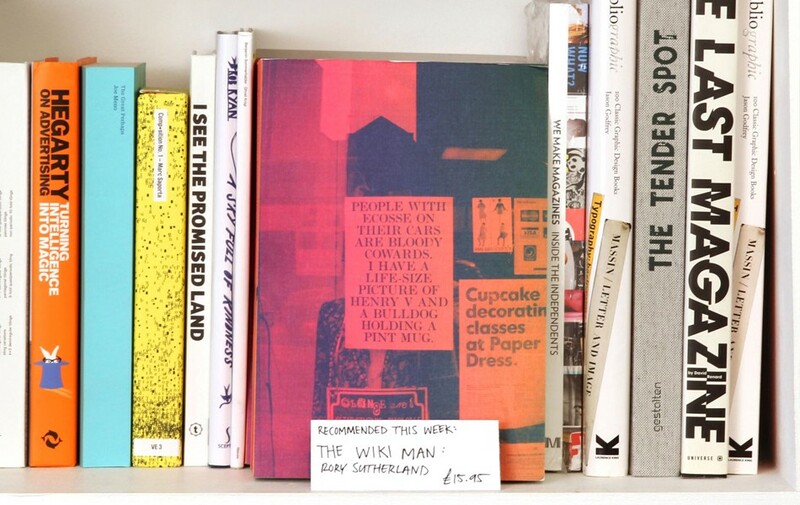 A review of ‘The Wiki Man’ by Rory Sutherland. If you’ve read any of the previous ¡Design Thinkers! issues, or any blog that talks around behavioural economics, then you’ll probably be familiar with Rory Sutherland. Vice Chairman of Ogilvy Mather, and the self-titled impresario of behavioural economics, Rory collects his thoughts and opinions together in this often delightful book. This book has been put together from interviews and clippings from Rory and is actually a bit weird. It’s been collated by the rather good folk at It’s Nice That, but suffers from being a bit too cool for school. 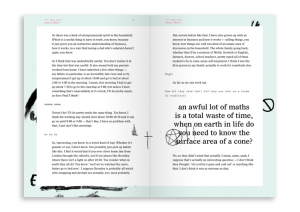 The layouts and typography remind me of something that a foundation degree student may hand-in for an assignment and it actually drew my attention away from the points being made by Rory. Putting the design considerations to one side, and also some of the editorial decisions (often interviews are presented completely unedited, even where contributions from others in the room make no sense), the basic opinions from Rory are always insightful and the insights always opinionated. I love the way that Rory is so honest and truly believes that everything can be designed better if we first took time to grasp a better predictive understanding of human behaviour. If you don’t have time for the book then you can watch one of Rory’s many TED talks which gives his views and the basics of behavioural economics in a concise and very entertaining manner.